Alpha Three is a work system; although concessions have been made to reduce the noise output from this system, reliability came first in its development, followed my a focus on optimizing subsystems specifically for dealing with my line of work, professional desktop publication and digital imaging. 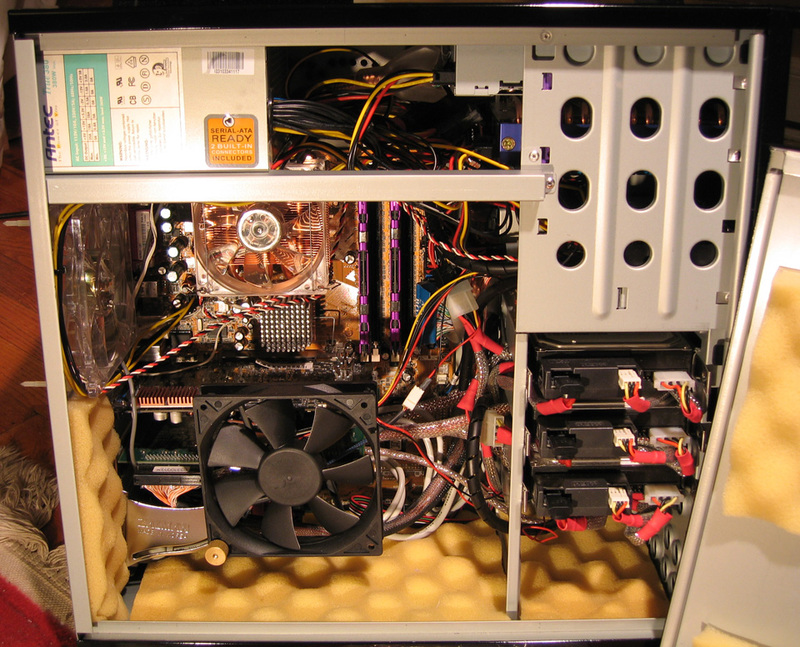 The old NgTech Labs archives outline a history of Alpha line, from back when it was more of an overclock gaming rig. That page was in dire need of updating, so the old site and its layout along with its (admittedly, severely outdated) images has been dumped in favor of this major revamp, what with the development of an entire new system with its new focus. Among the special focuses were the graphics subsystem, which is critical for desktop publication/digital imaging, and also on the storage subsystem. 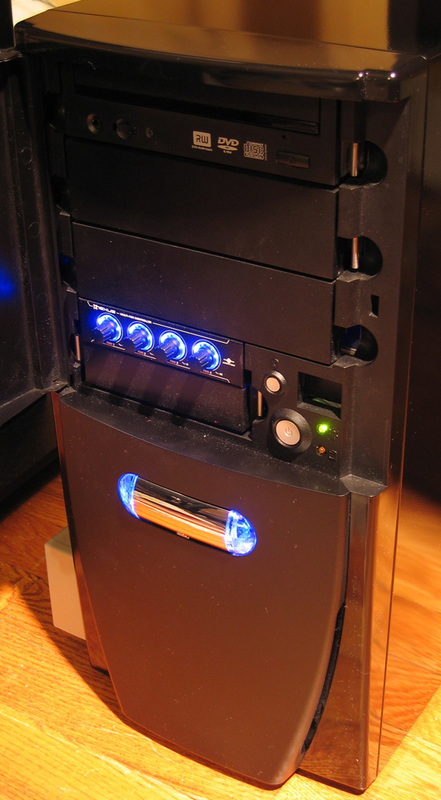 Unlike in Sigma One, where the hard drive was chosen for its acoustic performance as well as thermal characteristics, this system's two storage subsystems were set up from the very root to reduce the hard drive bottleneck to the very minimum, a critical factor when you're working, for example, with 16-bits/channel, high-resolution (300-2400dpi), four-channel (CMYK) images, which are often over 300MB in size. 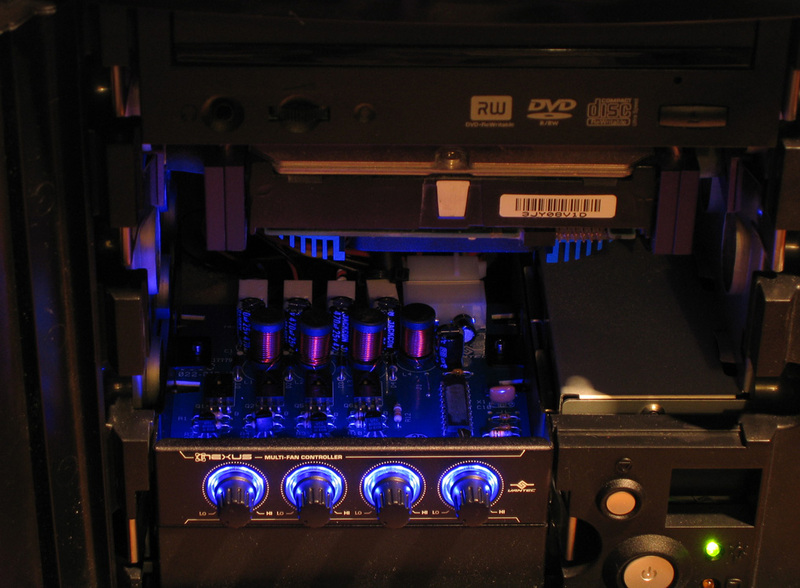 To deal with these massive A/V requirements (this system also acts as my DVD ripping/encoding/burning system), I assembled a multiway RAID-0 array using Maxtor's highly A/V-oriented Diamond Max Plus 9 series drives. Because a RAID array of long-access time ATA drives is not exactly the ideal environment for installing and running your OS and application software from, I acquired a bootable LSI Logic Ultra 160 SCSI host adapter, which Windows XP supports natively, and attached Seagate's blazing fast Cheetah 15K.3 series drive to it. The other critical focal point for my line of work, as I said, is the graphics subsystem. 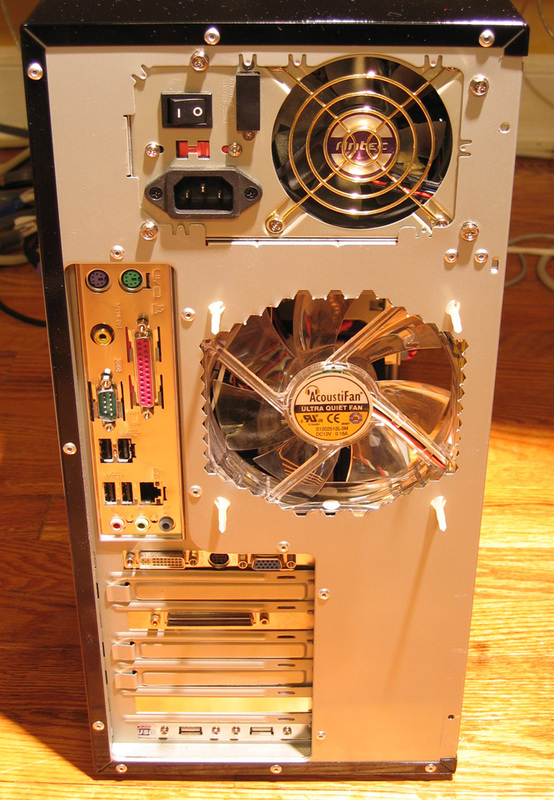 Unlike in gaming, where the focus is on pure speed as well as having an up-to-date, complete feature set (DirectX and OpenGL support), digital imaging relies on high resolutions at high refresh rates, maintained at the most stable and sharp condition possible (consumer level gaming cards tend to utilize cheaper filtering components, resulting in image blurring as refresh rates and resolutions go up); clearly, the Sapphire Radeon 9800 I was utilizing before was not up to the task! I replaced it with a true professional card designed for getting work done, a Matrox Millennium G550; the Radeon now serves heavy duty in Gamma Two, my new gaming rig. While I considered the Parhelia, I felt that the little G550 served all the needs I had, without costing me an arm and a leg, since I did not have any real need for the Parhelia engine's advanced 3D capabilities, being that my line of work is pure 2D. Here's a shot of the system interior. underneath the 3.5" drive cage and at the base of the 5.25" bay. remounted to the Zalman fan bracket to cool the VRAM and the northbridge. 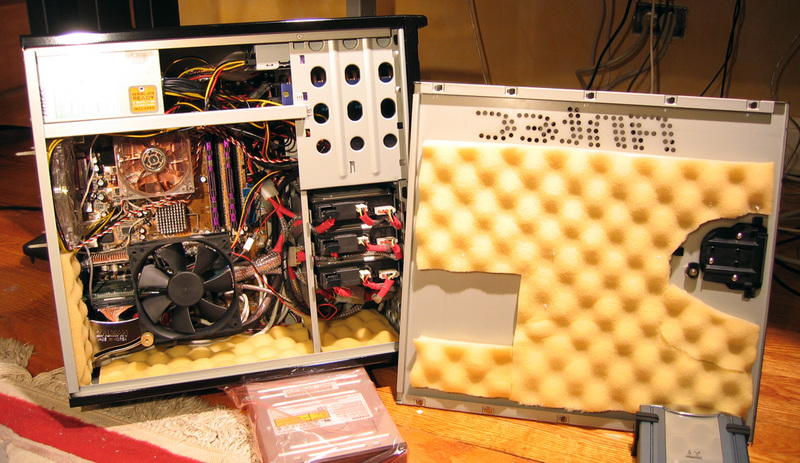 Here is a much closer view of just the case interior. and the two AcoustiFans are visible as well. This is a shot from the rear side of Alpha Three. it will be lined later to prevent injury. I removed two of the half-height bay fascias in order to shoot this nice picture. that cools the Cheetah from underneath. Nice?